Many people don’t realize that transsexual models are popping up in magazines and on runways everywhere. These gorgeous models look and feel like women but were born with male reproductive organs. If we didn’t know, we definitely wouldn’t be able to tell that they weren’t born female! Could you? Brazilian Lea T. was born Leandro Cerezo in 1981, but that didn’t stop her from becoming one of the most famous transsexual fashion models in the industry today. Lea has been called the muse of high fashion design house Givenchy. Born Darrell Walls in 1985, American model Isis King gained notoriety when she became the first transgender contestant ever to appear on the modeling reality show America’s Next Top Model. King competed on two seasons of the show. Thailand’s own Sirapassorn (AKA Sammy) Atthayakorn was named Miss International Queen in 2011’s pageant. India’s Malika is a trans woman who has undergone four surgeries and countless other medical procedures to become the woman she feels she was meant to be at birth. 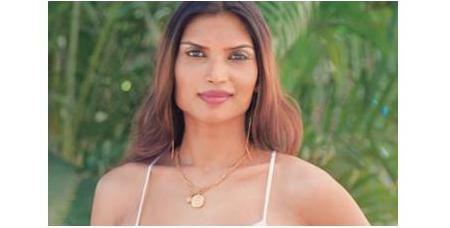 In 2011 she became the first Indian to be chosen to compete in the annual Miss International Queen competition in Thailand, a beauty pageant for transgendered people.